Modern development of the economy is characterized by an evolutionary transition from the industrial stage of economic reproduction to the stage of information-network interaction. Such a transition is accompanied by a radical change in the principles and methodology of economic activity, a change in the structure of the economy and the globalization of the markets for goods and services. With the help of a new interactive communication system using the achievements of information and communication technologies, the value chain is being transformed and traditional vertically integrated companies are being replaced by integrated networked logistics business communities using new forms of inter-functional and inter-organizational logistics coordination. Emerging in the course of these changes, problematic situations between participants in the business-logistic community require the use of new tools and methodological approaches to their solution that meet modern conditions and ensure the effectiveness of the processes of logistics interaction. This new approach is the application of the paradigm of integrated logistics and the creation on its basis of new cognitive forms of information management tools based on the use of the potential of virtual interaction. At the same time, the use of digital technologies, which acquires a general character in the conditions of the modern information and network economy, allows to transfer the integration and logistic coordination functions into the virtual environment, which leads to a significant transformation of the supply chains and the emergence of virtual logistics providers. 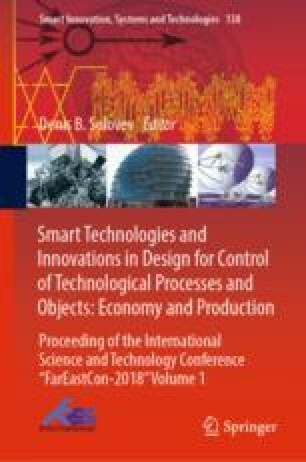 This article briefly discusses the theoretical and methodological foundations of the formation of virtual logistics providers in the system of interorganizational logistic coordination in conditions of full-format digital transformation of economic relations and provides examples of modeling new cognitive forms of virtual logistics providers that provide automated execution and security of virtual transactions in the modern system of logistics business processes. And also the authors consider the optimization of logistics business processes based on the introduction of technologies for constructing optimal routes for the movement of vehicles by solving the traveling salesman problem. An overview of modern information methods for solving the problem is provided. Models for optimizing routes using MS Excel and OpenOffice Calc packages and cloud computing capabilities are proposed.